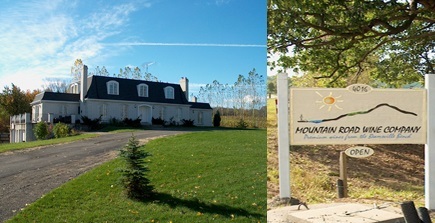 Mountain Road Wine Company started with the establishment of its first vineyards in 1983 by owner and winemaker Steve Kocsis. In 2000 Steve produced his first commercial wine, a 1999 Vidal Icewine. It won a Gold medal and was judged to be the Best Sweet White Wine at the Cellars of the World International Competition in Ottawa. His 2002 Chardonnay was chosen as the Best Canadian White Wine at the All-Canadian Wine Championships in 2006. Complementary tasting of the award winning wines are available. Sun. and public holidays 11 a.m.-5 p.m.